I had the good fortune recently to connect with a graduate of my 500-hour online teacher training program. I know that this program has a profound effect on students. Meli’s story is incredible, and I’m so grateful she chose to share it with me…and you! She told me how when she first began the program, not only was she a high-powered engineer in a stressful job, she also developed worsening anxiety. Her anxiety caused her to miss social occasions, and fear being around people. Eventually, she couldn’t leave the house. She turned to yoga, and loved the practice, but had a hard time going to classes. She knew she needed a big change. When she heard about The Kaivalya Yoga Method certification program, she took the leap…and it changed her life. She went from stressed out, super anxious engineer to blissed out, dream-loving yogi. In completing her training, Meli has completely transformed herself and found an awesomely unique niche as The Dreaming Yogi. I’ve loved watching her grow her following on Instagram as she delivers really cool (and accessible!) content that helps people connect with their dreams, de-stress, and incorporate elements of a peaceful yoga practice into their everyday lives. Now, I’ve heard of some awesome stories as a result of completing the online teacher training, but Meli’s is so unique and inspirational, I really hope you’ll check it out. She mentions in the interview that she took a little sample of the teacher training before she made the leap and signed up. If you want to do the same thing, click below. And, if you’re ready to change your own life, and want more information about the program, sign up for the next webinar that tells you all about it! 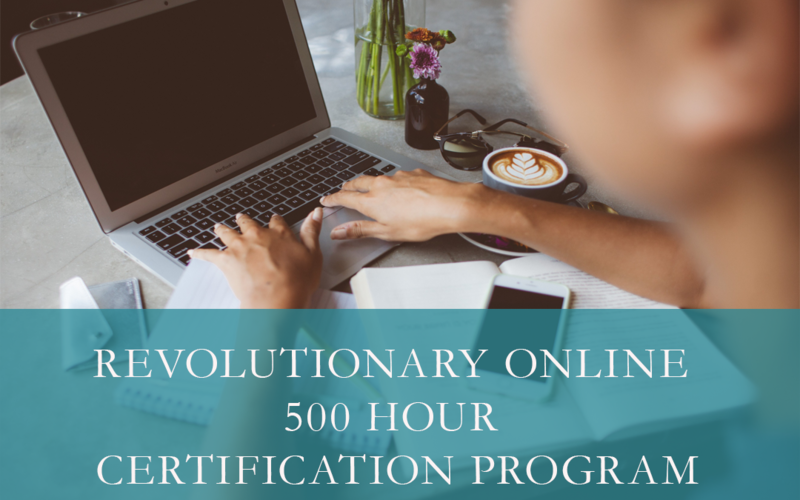 Let me take you inside this revolutionary online 500-hour certification program! I chatted more about my revolutionary online teacher training program and talked about more students’ success stories in my weekly Facebook Live broadcast. You can view the replay below. Perhaps you resonate with Meli’s story. Maybe you’re ready for a big change in life. It might be time to bring the healing power of yoga into your daily routine. …And maybe you can be my next success story! ? ?